Lawmakers have never tried what they just did with Initiative 940, a proposal to make it easier to prosecute police who kill in the line of duty. There is a reason for that, and it is called the state Constitution. Without a doubt, Washington state’s law shielding police who use deadly force from criminal prosecutions needed to change. 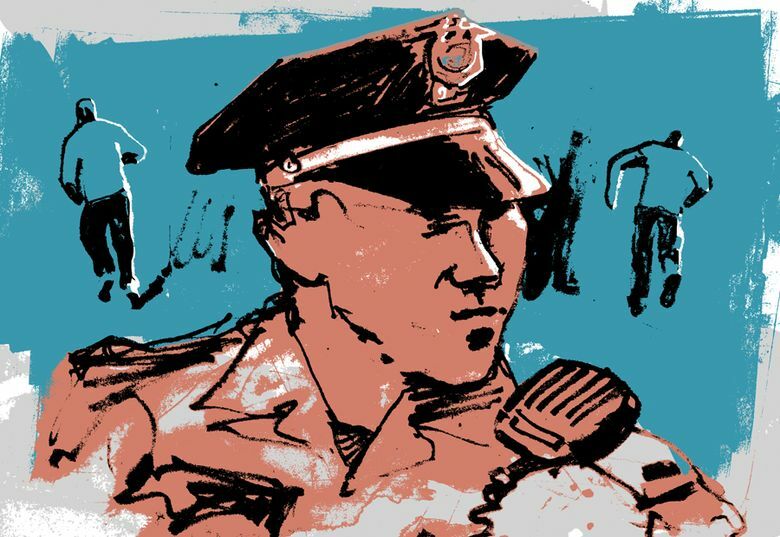 The current requirement to prove that police acted with malice to hold them criminally liable is too high a bar — one that prosecutors say prevents them from pressing charges in even the most atrocious cases of police brutality. Yet the method lawmakers used to amend Washington’s unusually high threshold for prosecuting police is troubling, no matter how good the policy change. Citizen sponsors drafted the original version of the proposed police-accountability law, submitting it to the Legislature as Initiative 940. The state constitution is clear about how such initiatives must be handled: The Legislature can either enact the proposed law as written; not take action on the initiative and send it to voters; or propose an alternative to put on the ballot alongside the original initiative. With I-940, lawmakers blazed a brand-new route. They adopted I-940, but did so along with a separate bill that will amend the initiative right after it goes into effect June 7. They claim this avoids the requirement that either proposal go on the ballot. This strongly suggests lawmakers cannot amend an initiative in the same session as they pass it into law — at least, not without putting their amended plan before voters. A 1971 opinion from then-Attorney General Slade Gorton upholds this view, saying any change in the text of an initiative to the Legislature amounts to an alternative proposal that must be put on the ballot. The Legislature’s creative maneuvering also sidestepped a requirement that lawmakers summon a two-thirds supermajority vote to amend newly approved citizen initiatives. Since the proposal never went to voters, Democratic lawmakers were able to pass the bill amending the initiative on a 25-24 party line vote in the Senate — a vote count that would not have been sufficient to make changes had the measure passed at the ballot box. While many Senate Republicans questioned the bill’s constitutionality, the House passed it with a significant bipartisan majority. He’s right. Few are complaining this time, as the sponsors of I-940 have joined together with police groups to support the amended version of the bill. This editorial board agrees it is better than the original. But what is to stop the Legislature in the future from drastically altering any initiative without public support, then denying citizens the chance to vote on it? State Rep. Gerry Pollet, D-Seattle, worries about that. “I share the concern that this could be used to amend an initiative over the objections of the sponsors, without a two-thirds vote,” Pollet said. When it comes down to it, fear of political backlash cannot be the only safeguard keeping the Legislature from abusing this newfound power. People submit initiatives to the Legislature because they want lawmakers to act. But they do so with the assurance that if the Legislature does not adopt their proposal as written, they still will be able to pitch their idea to voters at the next general election. They also trust that any improvements the Legislature proposes will be subject to voter review. What the Legislature did with I-940 turns this arrangement on its head. Initiative promoter Tim Eyman has already filed a lawsuit over the issue, asking a court to put both the original I-940 and the amended version on the ballot. Whatever you think of Eyman and his politics, the state desperately needs the court to provide clarity on this matter. Citizens may approve of the results this time with I-940. But there is no telling how the Legislature will choose to wield this legally dubious tool the next time around.